【Stainless Steel Screen】- Filter screen is easy to dissemble and clean. Stack one or more screens together gives your coffee espresso more refined taste. 【Attractive Sleek Design】: With a mirrored finish it is very pleasing to the eye. Will look great in any kitchen or office. 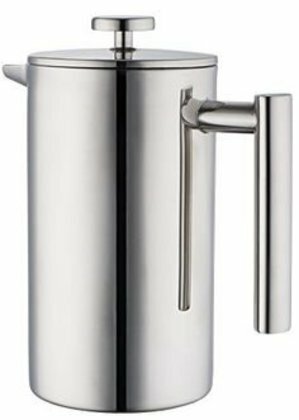 【Protect your investment:】Choosing the Meelio french press means protect your investment!Because we care about our customer experience ,if there are something wrong about your product we will change it immediately without any costs from your side.